The Brand Sampler freebies are one of the best freebie packs out there. The last time I received mine, it was almost like Christmas! A box full of free samplers - not just little tiny packets of product, but samplers that could be used multiple times (great for travel). You'll be required to register and provide your mailing address. There is a short questionnaire that helps them determine the best products to send you. 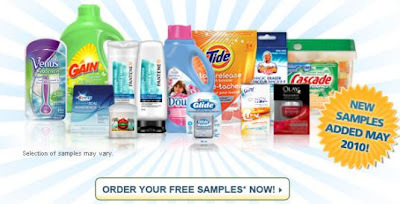 0 Response to "Brand Sampler Freebies from Procter and Gamble May 2010"